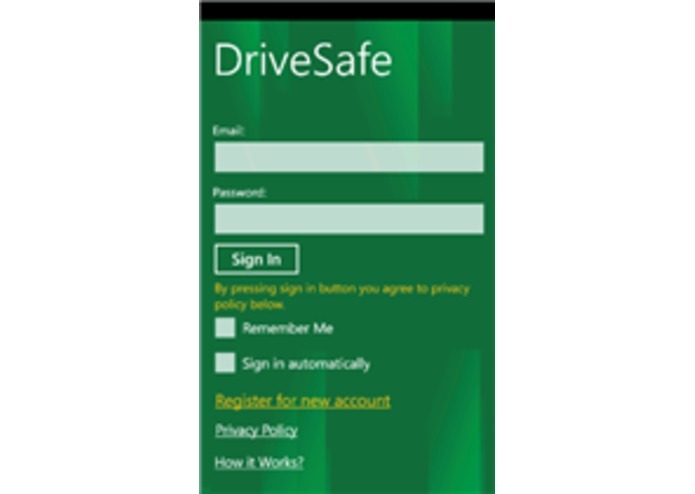 The objective of DriveSafe is to make drivers self-accountable and make roads safe. 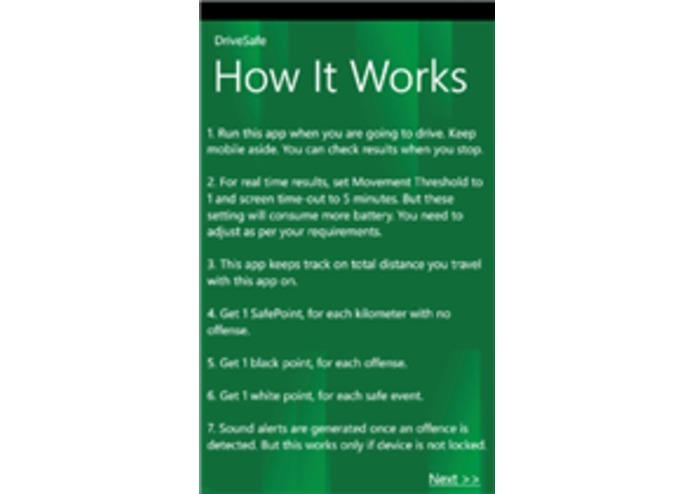 This app improves driving habits by monitoring people behavior while driving and calculates their safety rating. 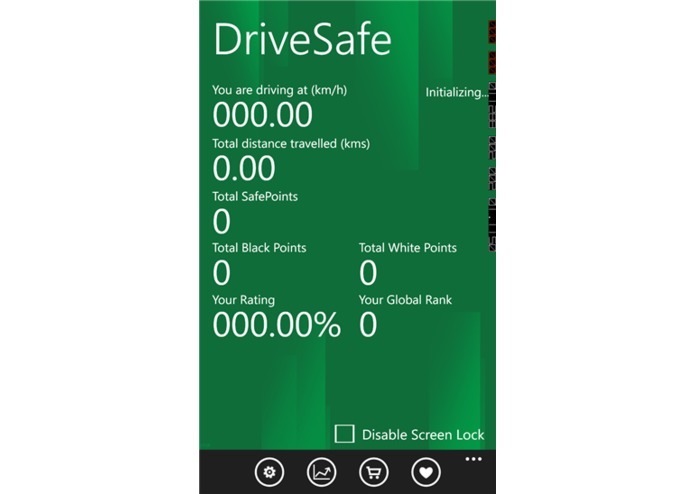 This rating projects percentage of kilometers driven safely and is a ratio of SafePoints to total distance driven. 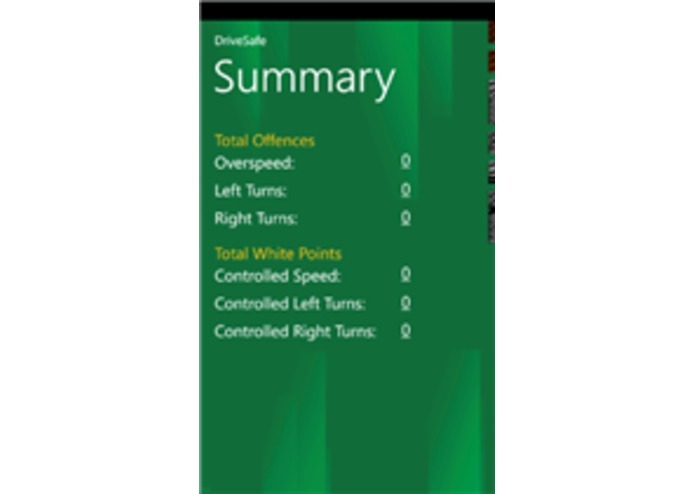 It detects offenses like over-speeding and uncontrolled turns. For each offense it marks a black point. 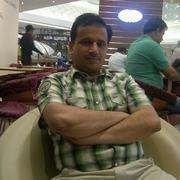 If user drives one kilometer with no offense marked then 1 SafePoint is awarded. 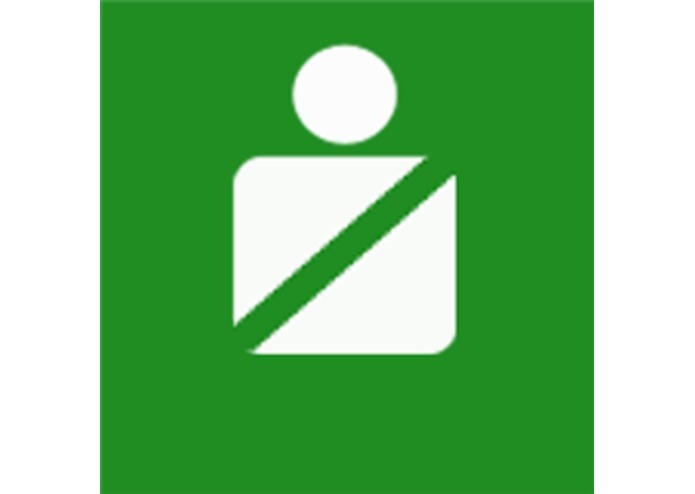 User is also awarded white points for 10 consecutive kilometers with no over speeding or 10 controlled turns. 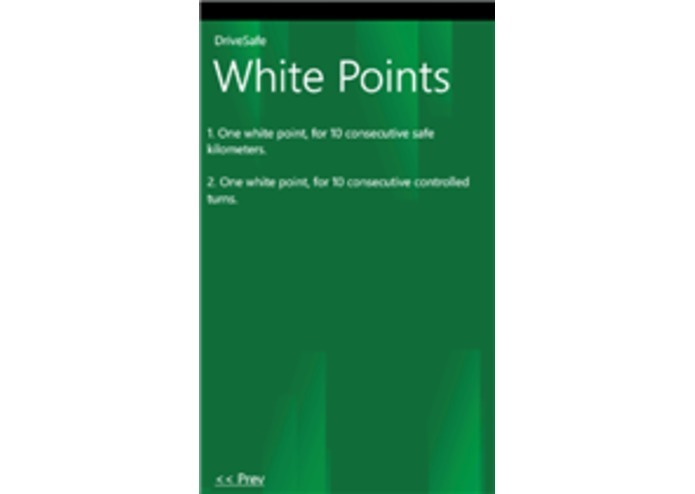 For each white point, a SafePoint is also awarded. 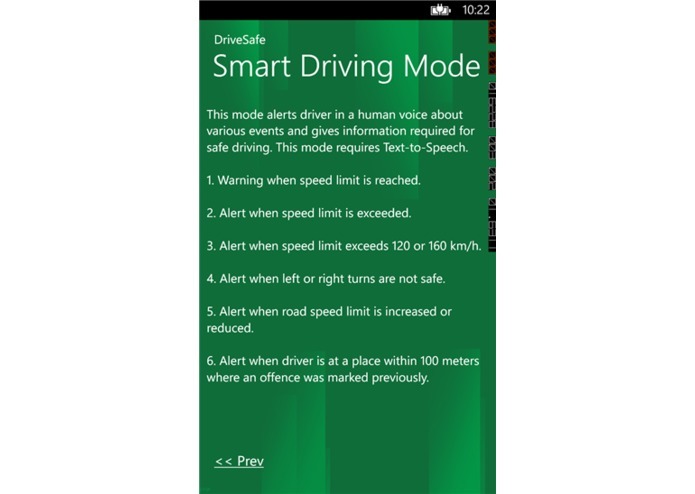 Smart Driving Mode alerts drivers when an offence is detected. 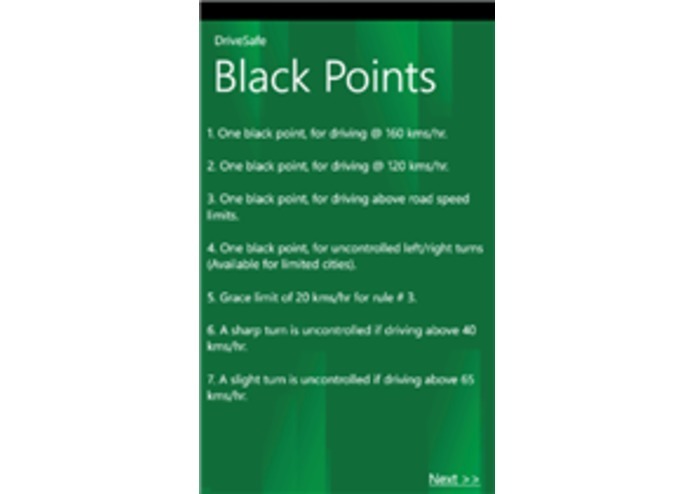 In addition, If driver is in a place where previously black point was marked, driver is warned to prevent repeating same offence.